Arrow Scientific offers the 3M Petrifilm Plates, which are compact, sample-ready bacteria testing plates that allow food processors to efficiently initiate onsite ‘do it yourself’ microbial testing. 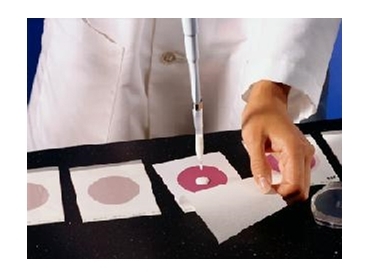 The 3M Petrifilm Plates streamline the testing process with no media preparation or validation required. These plates are suited to testing raw materials, plant environments and even finished products. Food processors are able to use the Petrifilm plates to verify their Hazard Analysis and Critical Control Point (HACCP) programs. Testers can perform Standard Plate Counts, confirmed Total Coliforms and E. Coli, and even enterobacteriaceae, yeast and moulds and environmental listeria. 3m Petriflm Plates are manufactured using 1SO 9000 certified operations and strict quality control procedures to reduce media variations and increase accuracy. 3m Petrifilm Plates are available from Arrow Scientific and are recognised by all major approval bodies and most auditors.